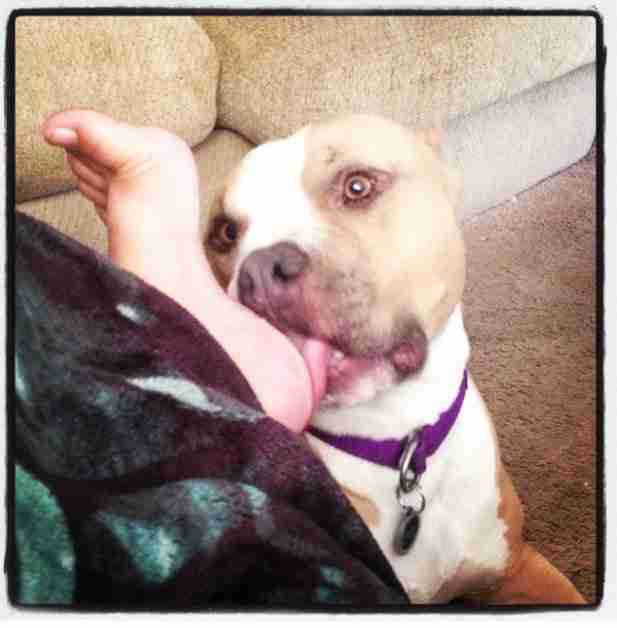 Why Do Dogs Love Licking Feet? Some dogs are WEIRDLY obsessed. A dog’s tongue travels to some pretty unsavory places throughout the day, but that certainly won’t stop a pup from giving his owner kisses on the face, hands and feet. But what does it mean if your dog licks your feet? Is your pup trying to tell you something with his tongue, or is he just in the mood for a quick snack? Licking is a multipurpose behavior, and the motive behind it can be difficult to pin down — especially when your pup goes for the toes. From the very minute a dog is born, the act of licking plays a key role in information gathering, communication and feeding, according to Dr. Elizabeth Stelow, chief of animal behavior services at the University of California, Davis. Moms lick their puppies to clean them, help them start breathing and stimulate their digestion. In turn, puppies will lick their mom’s face to show submission. Licking also prompts the release of endorphins — so even the act itself feels good. “Each dog probably has his own reason,” Stelow tells The Dodo. If your dog is licking your feet to get attention, he has probably associated the act of licking with positive reinforcement. Most likely, the last time your dog licked your toes it produced some sort of reaction, and he feels encouraged to continue this behavior next time he craves a scratch behind the ear. Licking feet can also fall under social maintenance behavior for dogs, Stelow notes. Like a friend giving you a face mask or braiding your hair, your dog is showing his love by caring for your skin and hair — the skin and hair on your feet, that is. In some scenarios, feet licking may not even be about the owner at all. When a dog licks his owner’s feet, it may be a “displacement behavior” the dog is performing to soothe himself when tensions run high, Stelow explains. The behavior may not even be feet-specific at all. “It may be that he is ‘a licker’ and licks other things in the household, too,” Stelow says. Sometimes it’s what is on the feet that counts, the sweatier the better. “From a medical perspective, a high percentage of dogs that lick things have primary gastrointestinal issues,” Stelow adds. “Some suggest that some dogs may be trying to replace a missing mineral nutrient.” In some cases, your dog might actually like the taste (I know, hard to believe). Stopping these unwanted foot baths is simple — use those feet to walk away. Stelow encourages owners to refrain from any types of punishment to deter the behavior. 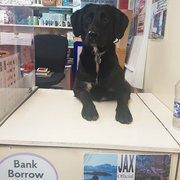 “First, it won’t support the owner’s bond with the dog. Second, it will backfire if the dog is trying to relieve stress or get the owner’s attention by licking,” Stelow explains. If the licking is compulsive, and your dog doesn’t get the hint, a trip to the vet might be in order. A veterinary or behavioral specialist can help pinpoint any underlying medical issues that might be prompting the slobbery feet kisses. Happily, feet licking usually isn’t something to worry about, Stelow says. As long as you’re not ticklish.